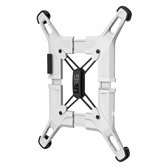 Hmm, nice looking rugged case that should fit and protect most any Android tablet…. 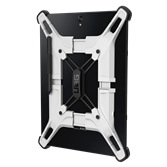 Urban Armor Gear (UAG, urbanarmorgear.com), a leading manufacturer of MIL-SPEC protective cases for phones, tablets, and laptops, has revealed a new universal fit MIL-SPEC Drop Tested case for Android Tablets. 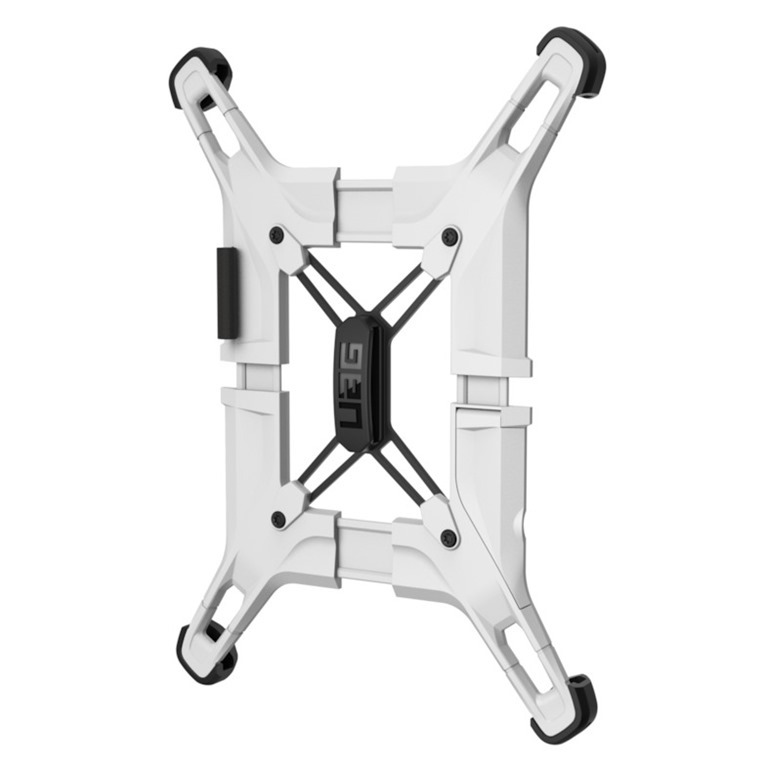 The new case provides 360-degree protection, shielding the screen, corners, edges, and backs of tablets via a lightweight adjustable Exo-Skeleton armor frame. 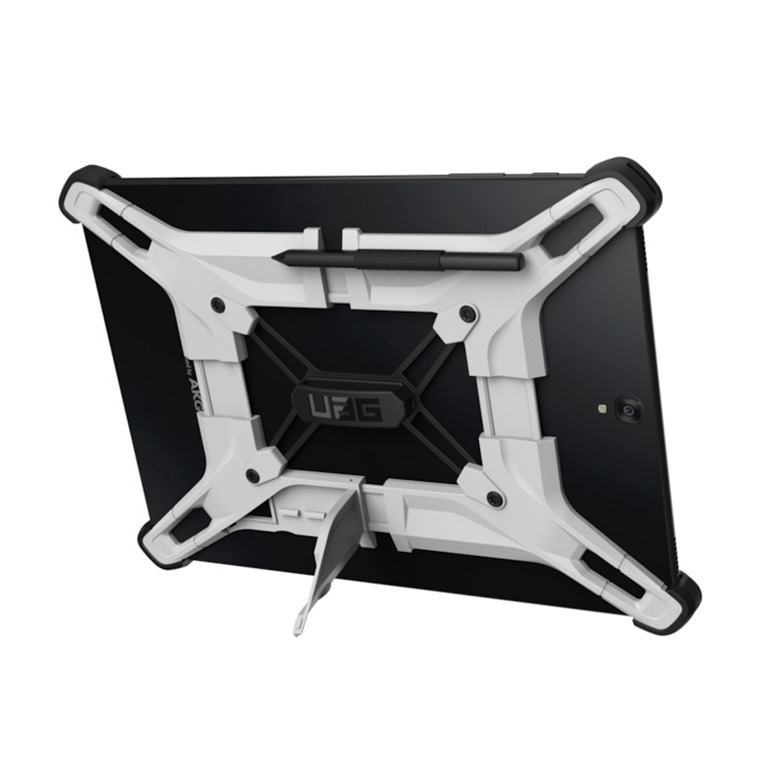 The unique design is engineered to adjust both vertically and horizontally to conform to the exact size of the tablet, ensuring that the case stays secure in the toughest drops and falls. Impact resistant rubber distributes shock through the case’s frame and away from the tablet, helping the case achieve MIL-SPEC protection with a variety of tablet sizes. Designed to enhance the utility of your device, the Exo-Skeleton case includes a stylus holder and a discrete kickstand for additional viewing and typing options. 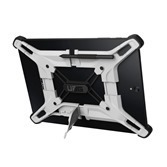 One handed operation is enabled by means of a dual finger strap, providing a secure hold point for the tablet.